Join Us Tuesday in Ann Arbor! 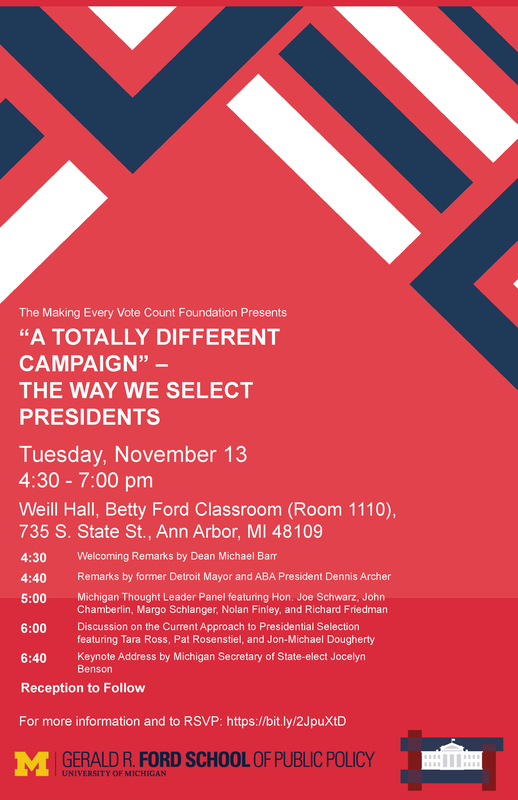 This Tuesday, November 13 at 4:30 PM, the Making Every Vote Count Foundation is pleased and excited to bring you the first of this year’s in-state symposiums on the American presidential selection system. At the @fordschool 4:30 to 7 PM. @JocelynBenson will deliver the keynote address.